I don’t believe that Hell will have literal fire. I side with the Eastern Orthodox Church on this issue. Hell is a place where either separation from God or the power of his presence is punishment. The way to understand biblical passages on hellfire is to understand them in a metaphorical manner (given that there are other instances of fire where literal fire is not meant [Exodus 15:7, Isaiah 42:25, Zephaniah 1:18, John 15:6, 10:26-30, 1 Corinthians 3:12-15]). My sheep hear my voice, and I know them, and they follow me; and I give eternal life to them, and they will never perish. Who will receive eternal life and will never perish? Christ’s sheep. Who will not receive eternal life and will perish? Those who are not Christ’s sheep, those who do not believe on his name. There it is, in black and white: unbelievers will not live forever and will perish. What a blow to traditionalism, which holds that unbelievers will in fact live forever and never die. Surely a mistake for Jaros—and in his introductory defense of the traditional view, too! No, the consistent and repeated testimony of Scripture is that immortality and eternal life will only be granted to the redeemed. The unsaved will be resurrected unto judgment and will die. Fellow contributor Dr. Glenn Peoples lays this case out powerfully in Episode 4 of the Rethinking Hell podcast. Conditionalists do not deny that hell is real, nor do we deny that hell is the sort of place people generally wish to avoid ending up in. The question is: What is the nature of hell? Let’s see how the texts that Jaros references answer that question. As he finished speaking all these words, the ground that was under them split open; and the earth opened its mouth and swallowed them up, and their households, and all the men who belonged to Korah with their possessions. So they and all that belonged to them went down alive to Sheol; and the earth closed over them, and they perished from the midst of the assembly. Clearly this passage says nothing about hell as a place of eternal conscious torment. Unlike most men who die and are subsequently buried, the ground opened up and swallowed these men alive as a testimony that they had spurned the Lord. What happened to them beneath the surface of the earth is not explicitly described, and so even if we were to assume that they descended into hell, we couldn’t conclude from this passage that they were eternally tormented there. In point of fact, however, we do know what happened to these men in the belly of the earth, and we also know that this text has nothing whatsoever to do with hell in the first place, because the text says the men descended into Sheol. The Hebrew word Sheol refers to the grave, the pit, the abode of the dead. Its New Testament Greek counterpart is Hades, and likewise refers to the place of the dead. Assuming traditional dualist anthropology, Hades is “the common receptacle of disembodied spirits,” as Thayer put it.1“Dictionary and Word Search for hades (Strong’s 86).” Blue Letter Bible. 1996-2012. Retrieved 22 June 2012. Robert Jamieson said it is “not the final place of the lost … but as we say ‘the unseen world’.”2Jamieson, R. “Commentary on Luke 16.” Commentary Critical and Explanatory on the Whole Bible. So the men who perished in Numbers 16:29-33 died after the earth swallowed them alive. But, as Scripture clearly teaches, these men and all the rest of mankind will one day rise bodily from the dead, as believed and taught in orthodox Christianity since the beginning. In fact the apocalyptic imagery of Revelation 20:13-15—which Jaros will eventually refer to and we’ll look at it more closely then—tells us as much, depicting Hades or Sheol emptied of its resurrected dead, who are subsequently judged and thrown into a lake of fire. It is this lake of fire, not Hades or Sheol, that corresponds to the final punishment of the damned, as Jaros’ own citation thereof demonstrates. His winnowing fork is in his hand, and he will thoroughly clear his threshing floor; and he will gather his wheat into the barn, but he will burn up the chaff with unquenchable fire. Jaros does not exegete the passage; he merely cites it. To a certain extent this can be forgiven since we were allowed a very limited number of words. Still, I can only hazard an educated guess as to why Jaros thinks this supports his position. Presumably he thinks that because the fire which burns up the chaff is called “unquenchable” it must be a fire which will never die out, and that therefore the unsaved must forever provide the fire with fuel to burn. But the Bible consistently uses the idiom of unquenchable fire to refer to exactly the opposite. To quench does not mean to die out—at least not primarily.3The Oxford English Dictionary’s definition of quench lists many more definitions consistent with putting out than dying out (quench, v. Oxford English Dictionary, 3rd edition, September 2007; online version September 2012; accessed 23 October 2012), and the Hebrew and Greek words translated as quench in the Bible are far more often used transitively (put out) than intransitively (die out). Rather, it means to put out. A fire that is unquenchable is one that we cannot extinguish, and therefore it relentlessly and completely consumes that which it burns. Ezekiel 20:47 says, “I am about to kindle a fire in you, and it will consume every green tree in you, as well as every dry tree; the blazing flame will not be quenched.” And in Jeremiah 17:27 we read, “I will kindle a fire in its gates and it will devour the places of Jerusalem and not be quenched.” These are not saying that trees and buildings will burn forever! When that Hebrew word translated devour or consume describes what fire does, it means to burn down completely. Jesus uses the idiom in the same way. The Greek word translated burn up is katakaiō and means “burn down completely.” It is not a generic burning; it is an utter consumption by fire. Thayer points out its distinct meaning as evident from its use in the Septuagint translation of Exodus 3:2, wherein the bush was burning but was not katakaiō or consumed.4Blue Letter Bible. “Dictionary and Word Search for katakaiō (Strong’s 2618)“. Blue Letter Bible. 1996-2012. 22 Oct 2012. http://www.blueletterbible.org/lang/lexicon/lexicon.cfm?Strongs=G2618&t=KJV. Jesus says the chaff, however, will be consumed, will be burned down completely. And so the first text which Jaros cites in support of his unique traditionalist view of hell as a place of everlasting suffering works in exactly the opposite direction, supporting the final annihilation of the wicked. But I say to you that everyone who is angry with his brother shall be guilty before the court; and whoever says to his brother, ‘You good-for-nothing,’ shall be guilty before the supreme court; and whoever says, ‘You fool,’ shall be guilty enough to go into the fiery hell … If your right eye makes you stumble, tear it out and throw it from you; for it is better for you to lose one of the parts of your body, than for your whole body to be thrown into hell. If your right hand makes you stumble, cut it off and throw it from you; for it is better for you to lose one of the parts of your body, than for your whole body to go into hell. Once again I can’t be certain as to Jaros’ intent in citing this passage. Perhaps he does so because of the repeated reference to being cast into Gehenna, with verse 22 including fire. In itself, however, this passage tells us nothing about the nature of Gehenna or what the fire will do there. Fortunately these verses don’t exist in a vacuum and Jesus’ reference to Gehenna tells us quite a bit about what will take place there. Gehenna is the Greek transliteration of the Hebrew “valley of [the sons of] Hinnom,” also known as Topheth, which was once a place where idol worshippers burned children as sacrifices to their gods. But Jeremiah 7:32 says that Gehenna would become “the valley of slaughter … The dead bodies of this people will be food for the birds of the sky and for the beasts of the earth; and no one will frighten them away.” Isaiah 30:33 speaks of God’s fiery vengeance upon Gehenna, likening it to a funeral pyre, which is a pile of wood for burning up corpses. Consistent with what Jesus said about the fate of the unsaved in the previous text we examined, his reference to Gehenna here warns about final punishment. Jesus says the lost will be slaughtered in hell and burned up. Once again Jaros’ own citations work against his position and support conditionalism. … but the sons of the kingdom will be cast out into the outer darkness; in that place there will be weeping and gnashing of teeth. Yet again I can only assume that Jaros cites this text for the same reason that traditionalists usually do: the text doesn’t say the unredeemed will be destroyed, but rather cast into outer darkness which requires their ongoing existence. Right? And it says they will weep and gnash their teeth there, and if they had been annihilated then they wouldn’t be able to do such things. Right? And yet one should immediately observe that the text never says how long the wicked will be in outer darkness, nor how long they will weep and gnash their teeth. If, as conditionalists contend, the unsaved will rise from the dead to face the judgment of God and be punitively executed, they will certainly weep in sorrow and gnash their teeth in anger up until their last breath leaves them. As it turns out, at least one other text which speaks of weeping and gnashing does tell us how long the sorrow and anger of the wicked will last. But it happens to be the next text that Jaros cites so we will look at it in a moment. In the meantime, what about the outer darkness? Well, this passage doesn’t make the meaning of the phrase clear, but when Jesus uses it in Matthew 22:13 we have a pretty good idea of what outer darkness refers to. In that passage it is explicitly identified as a parable, and in the earthly scene depicted Jesus says that the servant who is found improperly dressed in the wedding hall will be bound, hand and foot, and thrown out into the darkness. Now just ask yourself: In an earthly scene set in first century Jerusalem in the evening, if someone is bound, hand and foot, and thrown out of a wedding hall into the dark wilderness, what will happen to him (assuming he is not saved)? Well he is either going to die of thirst and exposure to the elements or be killed by beasts or robbers. This is a death sentence, not a life of eternal suffering. So when we compare the outer darkness of Matthew 8:12 with that of Matthew 22:13 and how Jesus used it, we see that the text Jaros cites ends up again supporting annihilationism. The Son of Man will send forth his angels, and they will gather out of his kingdom all stumbling blocks, and those who commit lawlessness, and will throw them into the furnace of fire; in that place there will be weeping and gnashing of teeth … and will throw them into the furnace of fire; in that place there will be weeping and gnashing of teeth. As I had said, this text tells us how long the weeping and teeth-gnashing of the unredeemed will last, for in the immediately preceding verse Jesus says, “So just as the tares are gathered up and burned with fire, so shall it be at the end of the age.” The Greek word translated burned is again katakaiō, and he had used the word in the parable that he’s interpreting, back in verse 30 wherein the tares are gathered up out of the wheat, bound into bundles, and burned up (katakaiō). What’s more, Jesus is harkening here back to Malachi 4:1 and 3, in which the day of the Lord is likened unto a burning furnace and evildoers likened unto chaff, who are set ablaze and reduced to ashes beneath the feet of the righteous. So quite the opposite of supporting his position, this text he cites clearly tells us how long the unrighteous will weep and gnash their teeth: until they are completely destroyed. Since these verses do not explicitly state what this eternal fire will do in that fiery hell, again I cannot be certain as to how Jaros thinks these verses support his position. Chances are he’s citing it for the same reason most traditionalists do: the fire is called eternal so it must refer to a fire which burns forever, and consequently the unsaved must provide fuel for the fire forever. Yet a fire being called eternal does not by itself allow us to conclude that what it burns will fuel it forever. The student of the Bible will recall that Sodom and Gomorrah were completely destroyed by fire which came down from heaven. Those flames were already burning before they scorched the buildings and inhabitants of the cities. The infamous lake of fire of Revelation 20 was likewise burning before anything was thrown into it. Jesus’ reference to the eternal fire, therefore, fails to support by itself the traditionalist view. The Lord himself is frequently referred to as a consuming fire.5See Exodus 24:17; Deuteronomy 4:24; 9:3; Hebrews 12:29. What fire could be more eternal than the consuming fire that is God himself? And what does this eternal consuming fire do to his enemies? Slaughters them, as he did to the inhabitants of Sodom and Gomorrah—which we’ll come back to momentarily. If the phrase eternal fire had appeared in a vacuum, then this verse would not by itself support Jaros’ position against mine nor vice versa. But it does not appear in a vacuum. The word translated hell in this verse is again Gehenna and, as we have already seen, Gehenna is a place of slaughter where scavenging beasts and birds cannot be frightened away from fully consuming dead carrion, likened unto a funeral pyre for burning up corpses. This is then what eternal fire does: it slaughters and destroys. So once again Jaros’ own citations work against him, with the text proving to be better support for conditionalism and the final annihilation of the wicked than for their eternal suffering.
. Retrieved 22 October 2012. http://www.rethinkinghell.com/2012/09/episode-6-erasing-hell-with-preston-sprinkle-part-2/. Having to rely once again upon an educated guess as to why Jaros thinks these verses support his position, I believe it is because the fire and punishment are called eternal and because of the reference to the devil who is seen tormented eternally in the imagery of Revelation 20. But as we have already seen, elsewhere Jesus uses the phrase eternal fire to refer to that fire which completely destroys. (And we will see this again when we examine the next text Jaros cites.) And while we’ll take a look shortly at the eternal torment of the devil in Revelation, Jesus’ use of eternal fire elsewhere is what should inform our understanding of its use here. But what of the phrase “eternal punishment”? The only thing this tells us is that the duration of the punishment will be eternal. It does not tell us what the nature of that punishment will be. It certainly could refer to an everlasting process of punishing, but it could also refer to the everlasting punishment of irreversible death that annihilation amounts to. After all, as St. Augustine noted, the duration of capital punishment is measured not in the moments it takes to die but in its consequent lifelessness.7St. Augustine (2011-10-04). The City of God – Enhanced (Kindle Locations 16804-16805). Kindle Edition. Hence, even the infamous traditionalist Jonathan Edwards wrote that annihilation qualifies as an eternal punishment.8Edwards, Jonathan. The Works of President Edwards: With a Memoir of His Life (G. & C. & H. Carvill, 1830), 401. … just as Sodom and Gomorrah and the cities around them, since they in the same way as these indulged in gross immorality and went after strange flesh, are exhibited as an example in undergoing the punishment of eternal fire. This is another text which baffles conditionalists when traditionalists cite it. As was the case with his citation of Matthew 18:8 and 25:41, I can only assume that Jaros thinks eternal fire must refer to a fire which eternally burns the unsaved. Yet here Jude uses it to refer to the fire which came down from heaven and destroyed Sodom and Gomorrah; thus the reference in 2 Peter 2:6 which tells that Sodom and Gomorrah were reduced to ashes. And Jude says the destruction of the cities by fire serves as an example of what awaits the wicked, using the Greek word deigma which refers to a specimen of something, not a prefigure or type. Besides, in Jaros’ metaphorical view of hell the antitype that is hell—being neither brief nor involving fire—is in no way like the type that was the destruction of Sodom and Gomorrah. So once more Jaros shoots himself in the proverbial foot by citing Jude 1:7 as if it supports the eternal suffering of the risen wicked, when in fact it demonstrates that eternal fire as used in Matthew 18:8 and 25:41 refers to fire that completely destroys, as it did Sodom and Gomorrah whose fiery destruction serves as a specimen of what awaits the unsaved. So here Jaros has a text which, unlike all the other texts he cites, does appear on the surface to say that the unsaved will be tormented forever. Sure, it only says the smoke of their torment will rise forever and ever, but if that smoke rises forever, then surely what it rises from—their torment—must go on forever, right? Yet this is symbolic imagery. The ten horns and seven heads of the beast, for example, are interpreted by the angel as symbolizing hills and kings. So then we must ask ourselves what the imagery of smoke forever rising from torment communicates? And we must answer the question with the utmost of care, rather than read the text at face value. In the imagery of chapter 18 the harlot Mystery Babylon is tormented as well,9Revelation 18:7, 10, 15 but as for the city she represents the interpreting angel has this to say in verse 21: “Babylon, the great city, [will] be thrown down with violence, and will not be found any longer.” And at the beginning of the next chapter, smoke rises forever from the harlot, just like it does from the beast-worshippers of chapter 14. So the imagery of smoke rising forever from the torment of the harlot symbolizes the permanent destruction of the city the harlot represents. Now nobody thinks Edom will literally burn forever, that smoke will actually rise from its remains throughout eternity. The imagery of smoke rising forever communicates the permanency of Edom’s destruction and that of the city represented by the harlot, Mystery Babylon. Therefore, the smoke of the torment of the beast-worshippers rising forever is imagery communicating their permanent destruction. And so we see that yet another of the texts cited by Jaros, and believed by his fellow traditionalists to be one of the most persuasive evidences in support of eternal conscious torment in hell, ends up favoring annihilation when it is looked at even a little more closely than when one takes it at face value—which, of course, is precisely what one must do with highly symbolic, vivid apocalyptic imagery. And the devil who deceived them was thrown into the lake of fire and brimstone, where the beast and the false prophet are also; and they will be tormented day and night forever and ever. Then I saw a great white throne and Him who sat upon it, from whose presence earth and heaven fled away, and no place was found for them. And I saw the dead, the great and the small, standing before the throne, and books were opened; and another book was opened, which is the book of life; and the dead were judged from the things which were written in the books, according to their deeds. And the sea gave up the dead which were in it, and death and Hades gave up the dead which were in them; and they were judged, every one of them according to their deeds. Then death and Hades were thrown into the lake of fire. This is the second death, the lake of fire. And if anyone’s name was not found written in the book of life, he was thrown into the lake of fire. The imagery here depicts the devil, beast, and false prophet “tormented day and night forever and ever”—the latter two having begun their torment a thousand years earlier—after which unbelievers are raised and thrown into the fire. And I suppose it’s somewhat natural to take it at face value, in isolation from the rest of the Bible, ignoring that this is apocalyptic symbolism, and come away thinking it supports eternal torment. I certainly used to. Well we’ve already seen how Revelation uses the imagery of the harlot’s torment to communicate the permanent destruction of the city she represents. The eternal torment of the devil, beast and false prophet is likewise symbolism communicating their permanent destruction. This is why the beast is seen thrown into the fire. John’s readers would have immediately recognized it as the fourth beast of Daniel 7 with characteristics of the previous three beasts, imagery foretelling the same events as Nebuchadnezzar’s dream of the statue in Daniel 2. Taken at face value the images contradict one another. The statue is shattered to pieces. Daniel’s beast is killed and its body destroyed in a river of fire, while John’s beast is thrown alive into a lake of fire and tormented eternally. But for Daniel’s visions the angel interprets the fate of the beast or the statue as communicating the permanent end to the dominion of the kingdom it represents, succeeded by the kingdom of the reigning saints—a kingdom which John also sees, immediately after the beast is thrown into the fire, further supporting that the same events are being foretold in the imagery. John also sees death and Hades thrown into the fire. Yet death and Hades are abstractions, incapable in reality of being tormented to begin with. And if we suppose that they aren’t tormented given that John does not mention their torment, then we must also suppose that the risen wicked aren’t tormented and for the same reason. But these abstractions, death and Hades, can and will come to an end. There’s a reason we call it the intermediate state. And in 1 Corinthians 15 Paul says death will be abolished, a word meaning “to make completely ineffectual.” Death is rendered ineffectual insofar as no one will experience it ever again; it cannot continue to exist powerlessly, having thus come to an end. So these two passages in Revelation serve as support for the traditional view of hell only if one reads them at face value, which is precisely what we shouldn’t do with apocalyptic text. On the other hand, when we treat the imagery consistently, taking into account the interpretive explanations and clues offered to us in the text itself, this imagery proves to better support the final annihilation of the risen wicked rather than their eternal torment. Why Jaros thinks this text supports his position is beyond me, given that we are told within the text itself that this symbolizes the second death of the unsaved. But doesn’t this verse nevertheless depict the wicked continuing to exist and sin after judgment? Luke 16:19-31 is perhaps the most detailed account of hell. It is the parable of the rich man and Lazarus. Jesus’s teaching here is that all men have enough knowledge accessible (the Law and the Prophet) [sic] to be held accountable for their eternal residence. Interestingly enough, the rich man is in Hades is conscious, [sic] and is holding conversation [sic] (contrary to what we might think happens when we are in excruciating pain) with Abraham, who is in paradise. On the one hand, I honestly don’t want to be rude or insulting. On the other hand, the obligatory citation of Lazarus and the rich man by traditionalists frustrates me to no end. One would think that by now I wouldn’t be surprised when traditionalists point to this passage, and yet, despite how frequently I’ve seen them do so in the past year and a half during which I became convinced of conditional immortality, I find myself surprised to this day. Annihilationism doesn’t make sense of the biblical data or seem consistent with our knowledge of the character of God. We have seen, so far, that annihilationism actually makes better sense of the biblical data. As for Jaros’ claim that it is inconsistent with God’s character, he offers no substantiation of that claim, either exegetical, theological or philosophical. As such, there is no argument here to which I may respond, although many conditionalists would argue that the permanent annihilation of the unsaved is more consistent with the character of God than the traditional view which has them suffering for eternity. Personally, I don’t make that argument. But it’s worth noting that many do. Verses used to support annihilationism such as Philippians 3:19 and 2 Peter 2:7 don’t refer to the cessation of existence, but rather the wasting of a thing (the same word is used in Matthew 26:8 but refers not to the cessation of existence). Sometimes the word rendered destruction in Philippians 3:19 refers to a waste of sorts, but that’s certainly not the final definition of the word. In Acts 25:16, where it refers to a person—unlike the example Jaros gives of its use in Matthew 26:8—it refers to his death. The word apollymi12Peoples, G. (2012, October 27). “The meaning of “apollumi” in the Synoptic Gospels.” Rethinking Hell [blog]. Retrieved 27 October 2012. http://www.rethinkinghell.com/2012/10/the-meaning-of-apollumi-in-the-synoptic-gospels. belongs to the same word group and, with no demonstrable exception, everywhere it is used in the synoptic gospels to describe what one person does to another it means to slay or kill,13Matthew 2:13, 12:14, 21:41, 22:7, 27:20, Mark 3:6, 9:22, 11:18, 12:9, Luke 17:27, 17:29, 19:47, 20:16 and it refers to death in Acts 5:37, 1 Corinthians 10:9-10, 2 Peter 3:6, and Jude verses 5 and 11. One cannot just pick and choose one’s desired meaning from a word’s semantic range and assume it in anywhere it appears. That said, Philippians 3:19 is not a text that I would myself cite in favor of conditionalism. I fail to see anything in the context that would lend it to my view over Jaros’ (or vice versa). 2 Peter 2:6, on the other hand—the passage I assume Jaros meant to cite, and verse 6 instead of 7 since the latter doesn’t use the word destruction—is a different story. Sodom and Gomorrah and their inhabitants were not wasted; they were completely destroyed, slaughtered by fire, reduced to ashes—in Peter’s own words! And Peter goes on to say that they were so destroyed as an example to those who would live ungodly lives thereafter, just as Jude does in Peter’s parallel. Alternatively, perhaps Jaros intended to cite 2 Peter 3:7, which tells us that “by His word the present heavens and earth are being reserved for fire, kept for the day of judgment and destruction of ungodly men.” Again, the word rendered “destruction” does not refer to wasting. Peter uses it in the immediately preceding verse, saying, “the heavens existed long ago and the earth was formed out of water and by water, through which the world at that time was destroyed, being flooded with water.” Note the parallel between the two verses: verse 7 refers to the heavens and the earth, followed by ungodly men; verse 6 likewise refers to the heavens and the earth, followed by the world. The world that was destroyed with water, then, being the parallel to the ungodly men destroyed by fire, are the people who were destroyed by the flood. They were killed, not wasted, just as ungodly men will one day be killed by fire. You see, the question isn’t whether destruction refers to a cessation of existence or not. Conditionalists believe that the unsaved will rise from the dead to be judged and sentenced to execution. The slaying of the inhabitants of Sodom and Gomorrah and the reduction of those cities to ashes, therefore, serves as the perfect example of what conditionalists believe awaits the wicked. 1 Thessalonians 5:3 and 2 Thessalonians 1:9 are also used in support, but it seems the conclusion must be presupposed to gather that Paul is referring to the ceasing of existence. Again, I would not myself cite 1 Thessalonians 5:3 as support for annihilationism, but 2 Thessalonians 1:9 is powerful support for it. Consider that in the preceding verse—or verses, depending on the translation—Paul says Jesus will be revealed “in flaming fire, inflicting vengeance.” As traditionalist G. K. Beale points out, “Isaiah 66:15 [is] the only place in the Old Testament where this combination of terms is found,”14Beale, G. K. 1-2 Thessalonians, The IVP New Testament Commentary Series (IVP Academic, 2010). 189. and both passages talk about God rendering recompense to the saints’ oppressors. Isaiah 66 is a picture of God violently slaying his enemies, reducing them to rotting, smoldering corpses. This is the everlasting destruction that Paul says awaits the wicked: being destroyed and rendered lifeless, never to live again. Aside from the biblical data, annihilationists must show they have a full understanding of the severity of sin. Annihilationists believe that the soul ceases to exist. But how do we really know that annihilatoinism [sic] will be a punishment that fits the crime? It seems that very evil men like Hitler and Stalin will get off the hook here, and perhaps men who were unrepentant, but not sinful to such an extreme (perhaps like Ghandi) would be given a punishment they didn’t deserve. This one-size-fits-all punishment also seems to deny Paul’s words that God will judge “each man according to his deeds” (Romans 2:6). Capital punishment is the penalty reserved for the most heinous of crimes. As the ultimate realization of capital punishment, annihilation clearly accounts for the severity of sin. In fact, for that reason an argument could be made that conditionalists view sin as more severe than do traditionalists. Many atheists are terrified of death, and first century Greeks were more terrified of annihilation than they were of eternal torment.15Date, C. (2012, July 12). 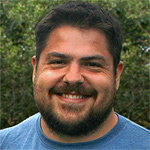 “Wind Out of the Sails: A Response to Greg Koukl.” Rethinking Hell [blog]. Retrieved 22 October 2012. http://www.rethinkinghell.com/2012/07/wind-out-of-the-sails-a-response-to-greg-koukl. As such, annihilation is a just punishment for sins committed against the perfectly holy God. But what of degrees of punishment? How can annihilation account for differences in degree between the sinfulness of one person and another? Aren’t there passages which talk about different degrees of punishment? Well it does seem like there are, but they don’t really tell us how those different degrees of punishment will play out in hell. The Hebrews and other middle eastern cultures cared deeply about their legacy, how they would be remembered after their death. Even for many of us, in cultures where honor and shame are not as important, we still care about how we are remembered. So perhaps degrees of punishment are accounted for by differing degrees of shame left behind in the wake of one’s final death. But even if we really think that degrees of punishment can only be accounted for by differences in suffering, conditional immortality is still compatible with that. God can execute a sinner in hell using any one of an infinite number of combinations of intensities and types of suffering. A criminal’s execution by lethal injection is, for example, relatively painless, whereas the electric chair is quite violent. I’m not suggesting that God will use lethal injection or the electric chair in the end, but I am saying that the means by which one sinner is executed may be much less painful than the means by which Hitler will be. Thus, Jaros’ objection simply holds no water. For these reasons, I believe eternal conscious punishment is the best view that fits with the biblical data both explicitly and implicitly (meaning, compatibility with our biblical knowledge of the character of God). Jaros introduced his essay by pointing to a passage which strongly implies that the wicked will not receive eternal life, and will instead perish. Of the texts he cited in support of his view of hell as a place of eternal, conscious separation from God, all but two of them proved to better support the final annihilation of the wicked, and the two which remain have nothing to do with final punishment in the first place. Jaros claimed that annihilationism is inconsistent with the character of God and doesn’t account for the severity of sin or for degrees of punishment, claims which do not hold up under scrutiny. And when he very briefly addresses passages indicating that the risen wicked will face capital punishment by means of violent execution, he dismisses them by arbitrarily selecting one particular meaning of a Greek word from its semantic range and applying it where it doesn’t fit the context. I fought tooth and nail to remain a traditionalist. I spent much time in prayer, pleading with God that if the traditional view of hell (or a variation thereof, like Jaros’) is the biblical one then please reveal that to me. I am deeply committed to the authority and infallibility of the scriptures and as such I must believe what it clearly teaches. And today I believe there are fewer doctrines taught more clearly in the Bible than that of the annihilation of the risen wicked. I encourage you, the reader, to take a closer look at the relevant texts, taking context, genre, and background into consideration and trying as best you can to not assume that the traditional interpretation of those texts is the correct one. I’m confident that, if you do that, you too will see how clearly the Bible teaches conditional immortality. 1. ￪ “Dictionary and Word Search for hades (Strong’s 86).” Blue Letter Bible. 1996-2012. Retrieved 22 June 2012. 2. ￪ Jamieson, R. “Commentary on Luke 16.” Commentary Critical and Explanatory on the Whole Bible. 3. ￪ The Oxford English Dictionary’s definition of quench lists many more definitions consistent with putting out than dying out (quench, v. Oxford English Dictionary, 3rd edition, September 2007; online version September 2012; accessed 23 October 2012), and the Hebrew and Greek words translated as quench in the Bible are far more often used transitively (put out) than intransitively (die out). 4. ￪ Blue Letter Bible. “Dictionary and Word Search for katakaiō (Strong’s 2618)“. Blue Letter Bible. 1996-2012. 22 Oct 2012. http://www.blueletterbible.org/lang/lexicon/lexicon.cfm?Strongs=G2618&t=KJV. 5. ￪ See Exodus 24:17; Deuteronomy 4:24; 9:3; Hebrews 12:29. 7. ￪ St. Augustine (2011-10-04). The City of God – Enhanced (Kindle Locations 16804-16805). Kindle Edition. 8. ￪ Edwards, Jonathan. The Works of President Edwards: With a Memoir of His Life (G. & C. & H. Carvill, 1830), 401. 12. ￪ Peoples, G. (2012, October 27). “The meaning of “apollumi” in the Synoptic Gospels.” Rethinking Hell [blog]. Retrieved 27 October 2012. http://www.rethinkinghell.com/2012/10/the-meaning-of-apollumi-in-the-synoptic-gospels. 14. ￪ Beale, G. K. 1-2 Thessalonians, The IVP New Testament Commentary Series (IVP Academic, 2010). 189. 15. ￪ Date, C. (2012, July 12). 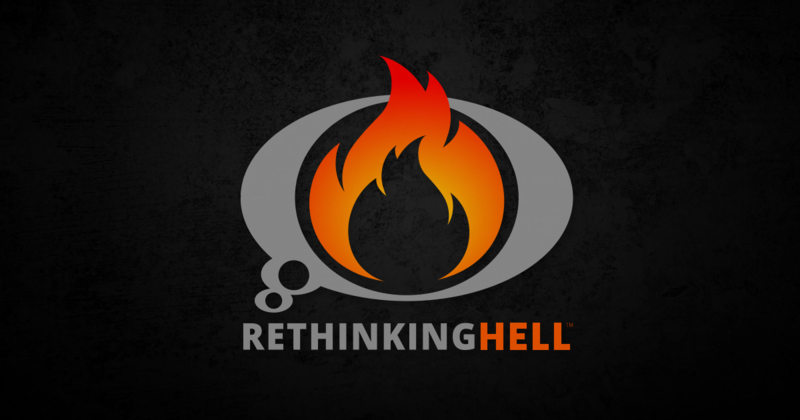 “Wind Out of the Sails: A Response to Greg Koukl.” Rethinking Hell [blog]. Retrieved 22 October 2012. http://www.rethinkinghell.com/2012/07/wind-out-of-the-sails-a-response-to-greg-koukl.